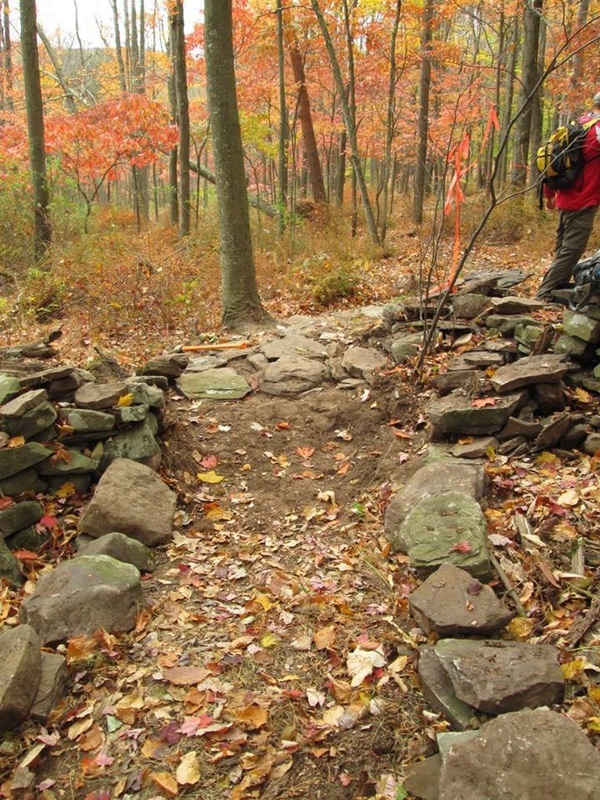 Check out the new Howland Preserve Trails Page! Aug.28,29,30, 2015: Please avoid The Howland Preserve programming area! August Sun setting on the Kayak Raffle!! 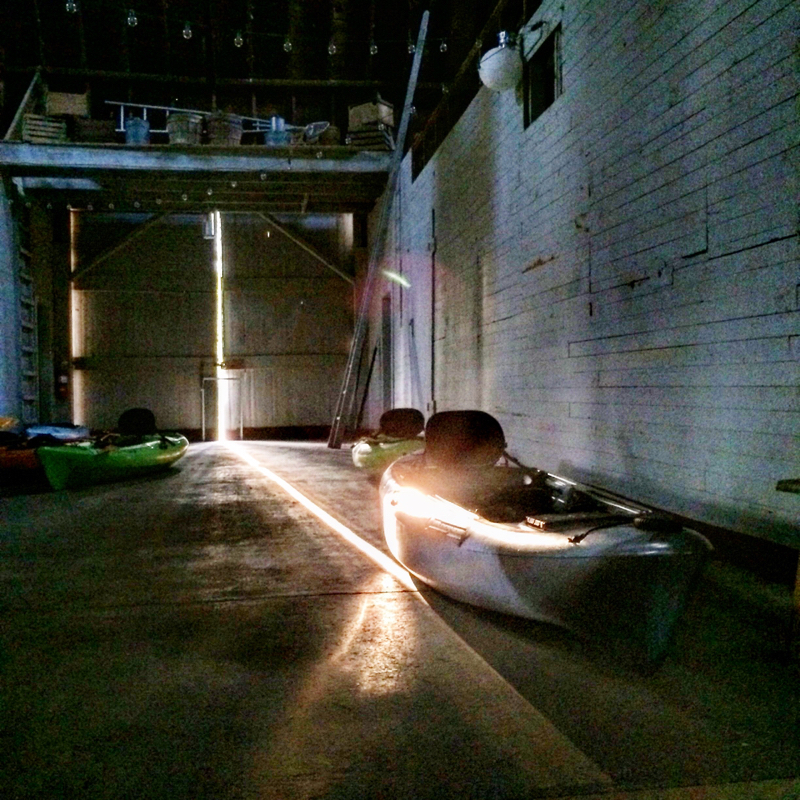 We want this kayak to go to a good home. Will it be you? If you want $5 tickets let us know!!! Or go to: https://rallyup.com/764f8e/Campaign to buy online! Thank you for being part of the revival! 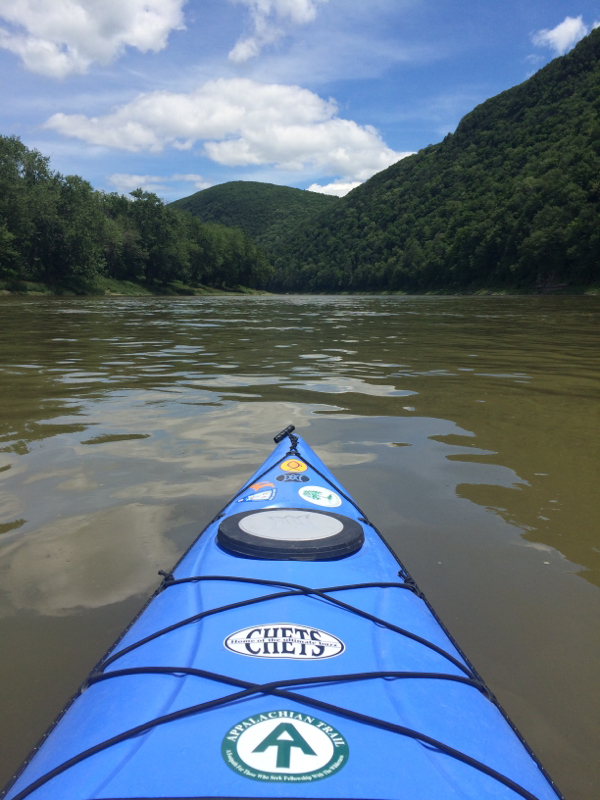 Enter to WIN a Kayak!! We are raffling a RUGGED RIDE 115 Fishing kayak! 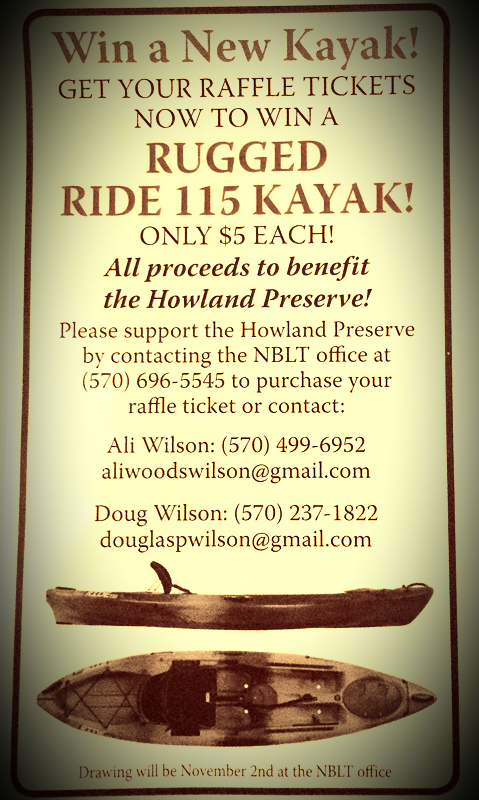 All Proceeds benefit the Howland Preserve!! Please contact us for tickets! 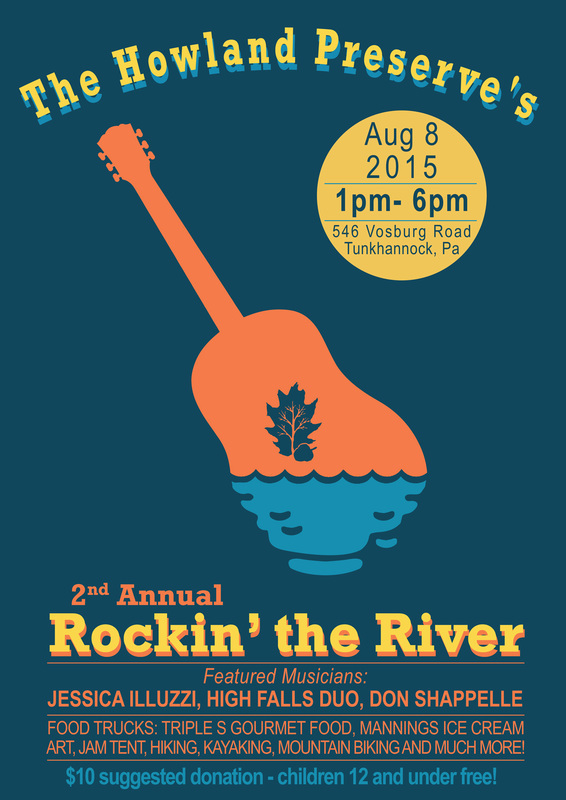 We have quite the line up planned for you at this year's Rockin' The River! 4:30-? : High Falls Duo: Rock out in the Barn!! *Triple S Gourmet Food Truck! *High Point Greens Juicing Co. Please help us spread the word! All proceeds go towards renovations at the Historical Howland Preserve! The side of the Barn is looking very nice! 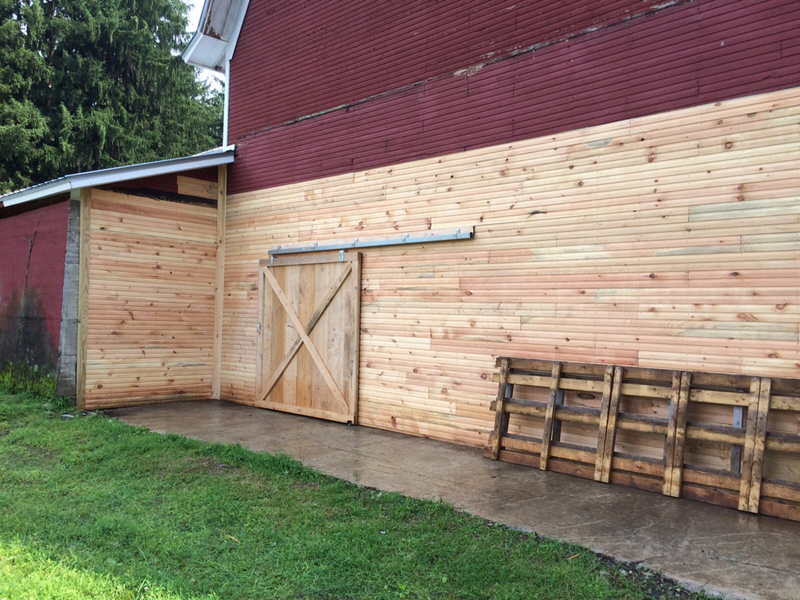 We are making safer updates to our barn! Love the new sliding door! Tucked away in the countryside along the Susquehanna River just north of Tunkhannock is a 669-acre property with historic buildings from the 1800s, a canal bed, a rail bed, a graveyard from the 1700s, stone walls, non-motorized boat access, picnic areas, a planned trail system and more. Although open daily to the public from dawn to dusk, The Howland Preserve, 546 Vosburg Road, Tunkhannock, remains something of an unintended secret to the majority of the community — which the Friends of The Howland Preserve is attempting to change. 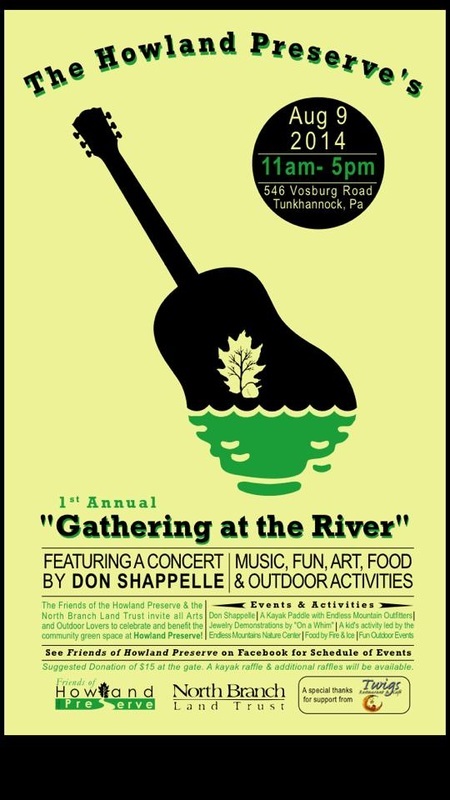 The volunteer group held its inaugural Gathering at the River fundraiser Aug. 9 at the property, which is owned and maintained by the North Branch Land Trust, Trucksville, and located adjacent to Camp Lackawanna. With a dual goal of raising funds for and awareness of the preserve, the community event featured kayaking with Endless Mountains Outfitters, live music by Don Shappelle and Barry Derninis, refreshments from a Fire and Ice food truck, children’s activities with the Endless Mountains Nature Center, hiking tours, a jewelry class, various craft vendors and information tables, outdoor games and more. The day was a success, according to event organizer Ali Wilson, with over 150 people in attendance. Funds raised from the Aug. 9 event are planned to help complete work on the historic barn and purchase trailhead signs. In addition to its monetary needs, the group is seeking volunteers from the community to help with a variety of tasks, such as trail building, grounds maintenance and monitoring, skilled labor on the buildings and more. Trails flagged to Start Exploring the Howland Perserve! Friend of the Howland Preserve Hero Jeff Fleming! 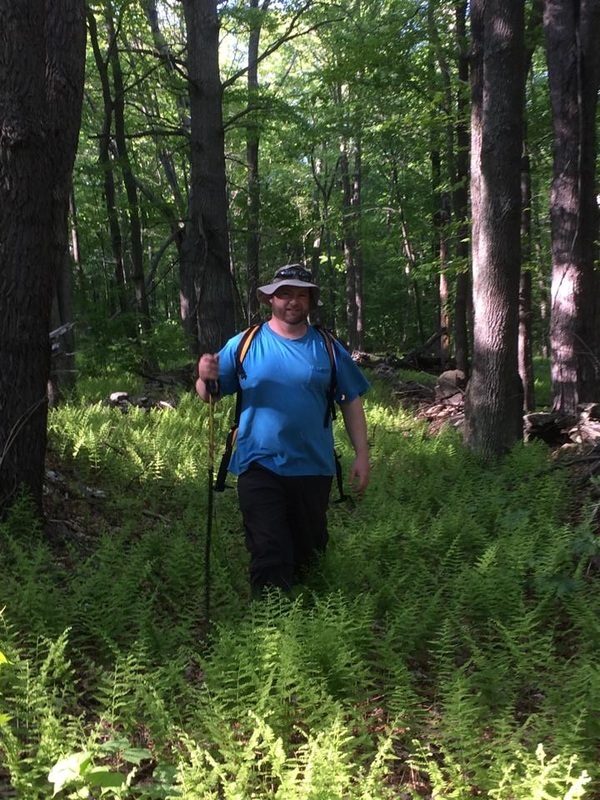 Howland Hero: Jeff Fleming, Trail King. Jeff has given us over 15 hours of trail flagging, planning and exploring. He has flagged one amazing back woods loop! We hiked it together on Saturday and the blooming dogwoods, ferns, pines, switchbacks, deer, vernal pools, old township road lined in stonewalls, and vista point wowed us all! Thank you Jeff for sharing your expertise and enthusiasm with us! There is an amazing new trail coming soon...want to join the fun building? Get at us! There were about 200 unique pieces of artwork in the show, which featured works done by Tunkhannock students in grades 5, 6, 7, and 8. The show was organized by TAMS art teacher Ali Woods Wilson in the hopes of drawing attention to the natural beauty of the Howland Preserve. Woods and her husband are the founders of the “Friends of the Howland Preserve,” an organization of about 25 people who are determined to raise awareness of the property. All of the pieces in the art show were inspired either by visiting the preserve itself or by studying visuals and photographs of the Howland Preserve. Wilson said she hopes that paintings have inspired her students to appreciate the natural beauty of the area. This is also what she hopes visitors will have taken away from the show. Much of the art in the show was a product of an “Artist-in-Residence” program, explains Debbie Donowski, another TAMS art teacher. This year’s “Artist-in-Residence” was Earl Lehman, a local landscape artist who has worked with students in the classroom for more than 25 years. The “Artist-in-Residence” program, which offers one-on-one instruction for students with a professional artist, is sponsored by the Pennsylvania Council of the Arts. The larger pieces in the show were done by student members of a “core group” who met with Lehman for an hour before school during a 4-week instructional program. These 4x8 masterpieces, along with many other paintings done by Tunkhannock art students detailing the Howland Preserve’s trees and waters, coated the walls of the Preserve’s barn. Lehman, himself, shared the girls’ spirit. As a landscape artist, Lehman said this particular project was perfect for him, and together with Wilson’s vision and the student’s hard work, the show was a rousing success. 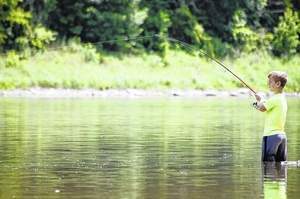 In the long term, Wilson hopes that they can maintain the Howland Preserve as a space that the Tunkhannock community can enjoy for years to come. The “Friends of the Howland Preserve” hope to put in hiking trails in the future, and encourage others to utilize the barn which hosted the art show, which was recently furnished with a new roof. The Friends of Howland Preserve along with The North Branch Land Trust are resurrecting and enhancing this great preserve but will need help from our local stewards of the land. Please like our page so you can receive updates and happenings at Howland!